When the food is this awesome? For my September company dinner, we had our meal at the retro and old school feeling Kissa Tanto. 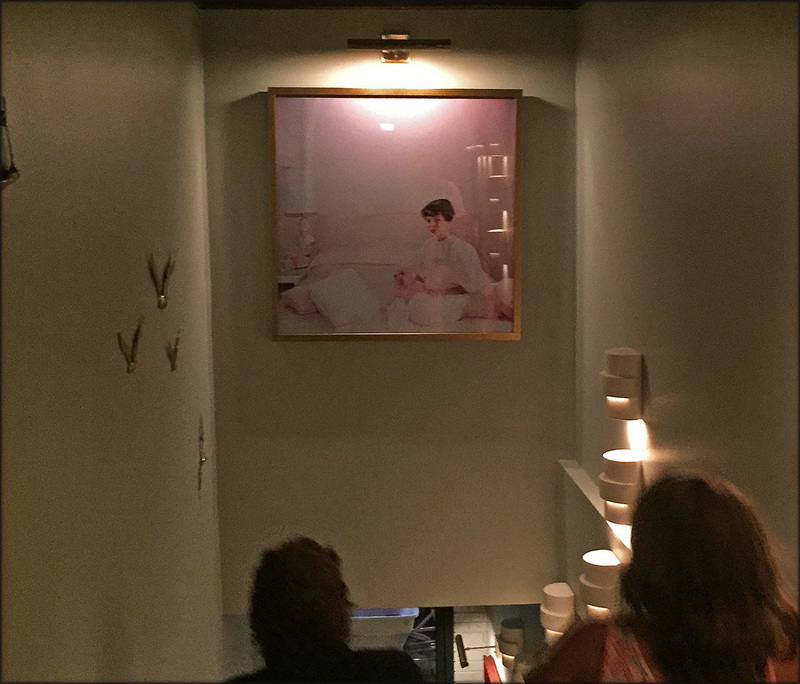 Instead of being modern and sterile, or brick and beam generic, the second floor Chinatown space had an alluring vibe with its mood lighting and private booths. The ambience of Kissa Tanto added to our Chef’s tasting menu experience. 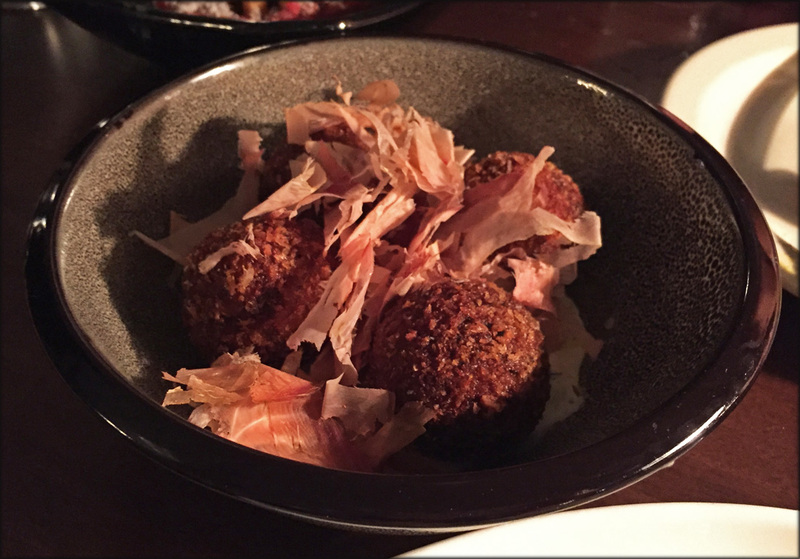 We were eager to see what the buzz was all about and what exactly Japanese Italian food is. The intrigue of the seemingly odd fusion cuisine drew us in, but it quickly became a non-issue after the first few bites. 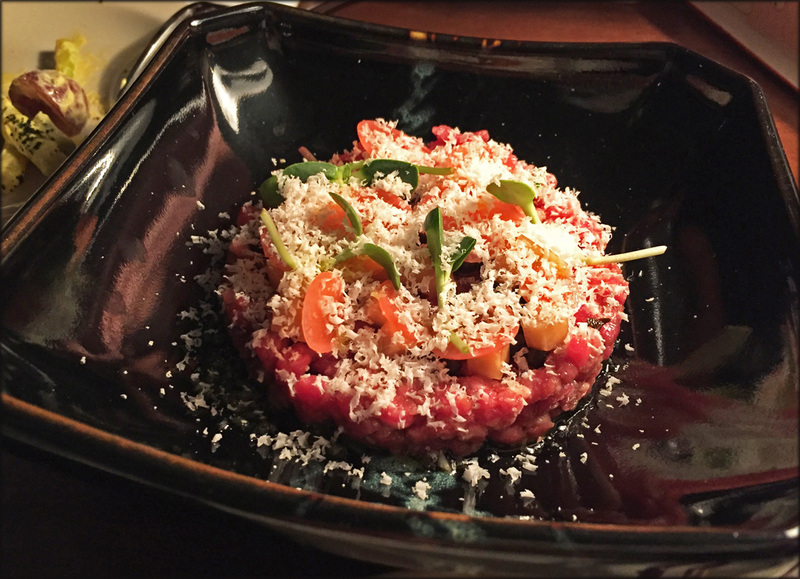 There are distinct Japanese ingredients and probably refined Japanese cooking techniques deployed in the well-crafted dishes that appear Italian. However in the end, all that matters is the food tastes good and at Kissa Tanto the food is amazing. The presence of potato salad may seem weird but Japan does have a fascination with the dish so I assume the Rose Potatoes Salad we got was a nod to that. This dish consisted of red potatoes, wax bean, aioli, castelvetrano olives, and wakame powder. The spud salad was more complex than most versions. It tasted sweet and creamy, and had both soft and crisp textures. The potato salad was an extra we added for my boss’ little one. 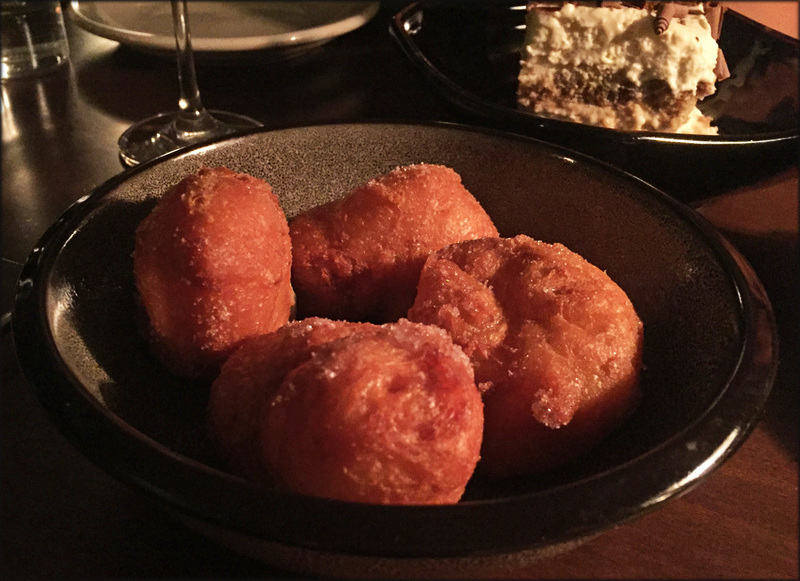 The Chef’s menu appetizers were an eggplant fritter, a sea bream crudo and a beef cruda. The Fritelli di Melanzane was garlicky, very creamy and filling. To give them another level of flavour, smoky bonito flakes were a nice addition. This was a solid starter. Between the raw fish and raw beef, I preferred the crudo. The sea bream was light and refreshing, with bursts of salty, tart and crunchiness. 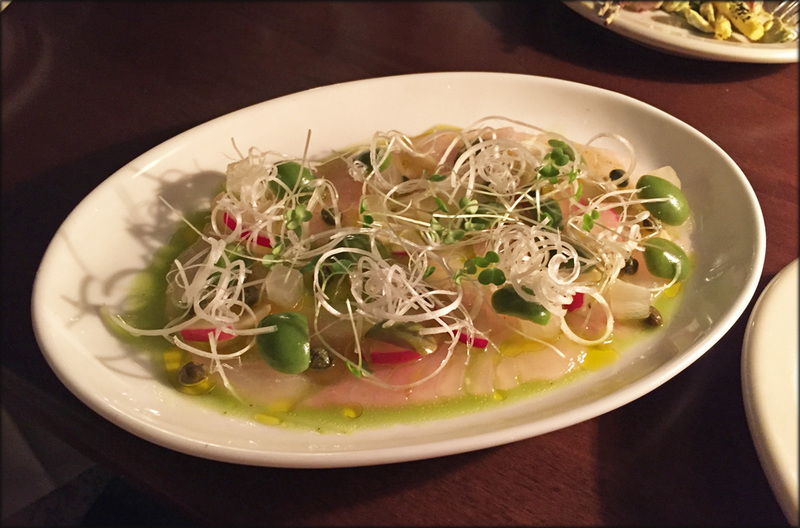 Components like the pickled almonds, shredded leeks and Castelvetrano olives provided bold flavours without overwhelming the raw fish. The beef cruda was fresh but much heavier with charred scallion sauce and Parmesan mixed in. I found the mixture more granular with each component standing out instead of being melded together. Don’t get me wrong this was a good tartare; its just I really like Royal Dinette’s silky smooth version. To be honest when the octopus salad arrived it didn’t appear all that impressive. However the octopus was crispy on the outside but was still tender – not chewy at all. 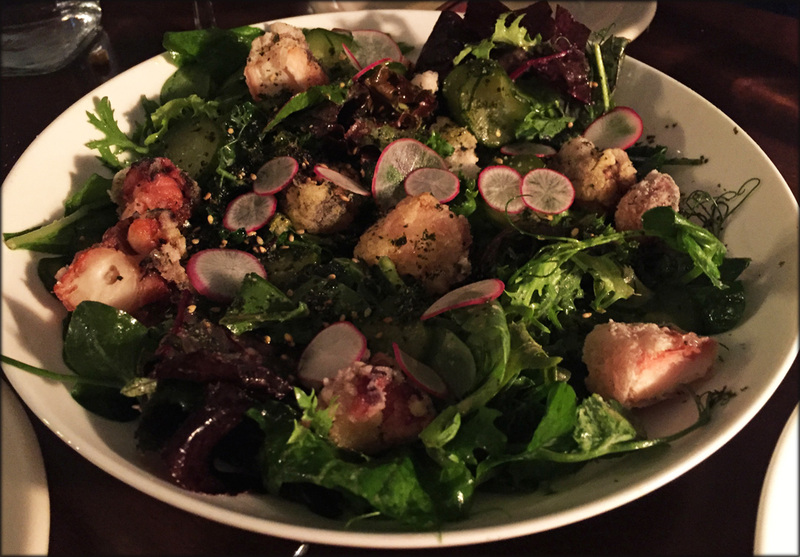 The entire salad was dressed with an appetite stimulating tart lemon emulsion. This salad was simple but delicious. My favourite dish of the night was the Arctic Char entrée (a daily special). The fish was prepared beautifully – flaky and moist. However the most remarkable thing about the dish was the sauce. It was so full of umami. The liquid heaven was made of dashi, a reduced stock of seafood trimmings and cream. It was amazingly savoury. I would have been more than happy to eat just that sauce with simple pasta, let alone the well-prepared fish and shrimps. Usually the last course before dessert is reserved for a more substantial meat dish. For us, the last round of savoury food was rich and dense but featured pasta. 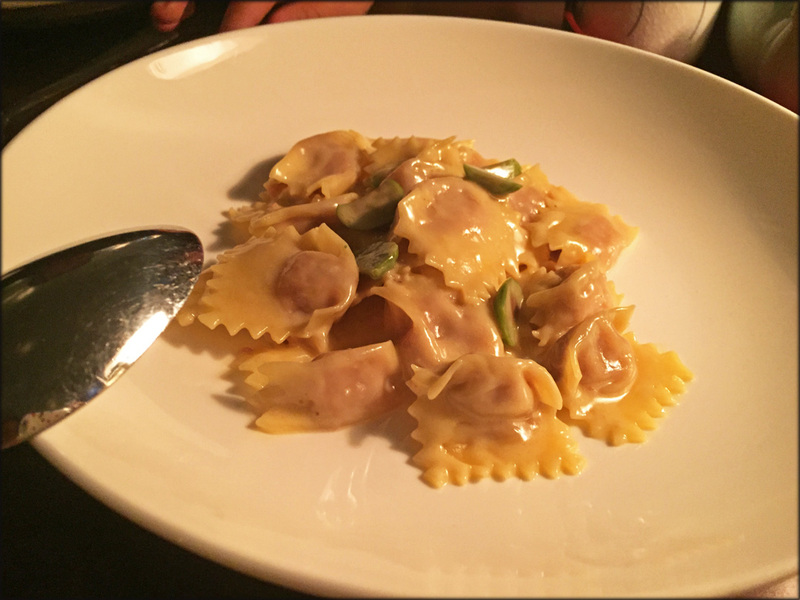 The Porchetta Agnolotti definitely had an Asian flavour. 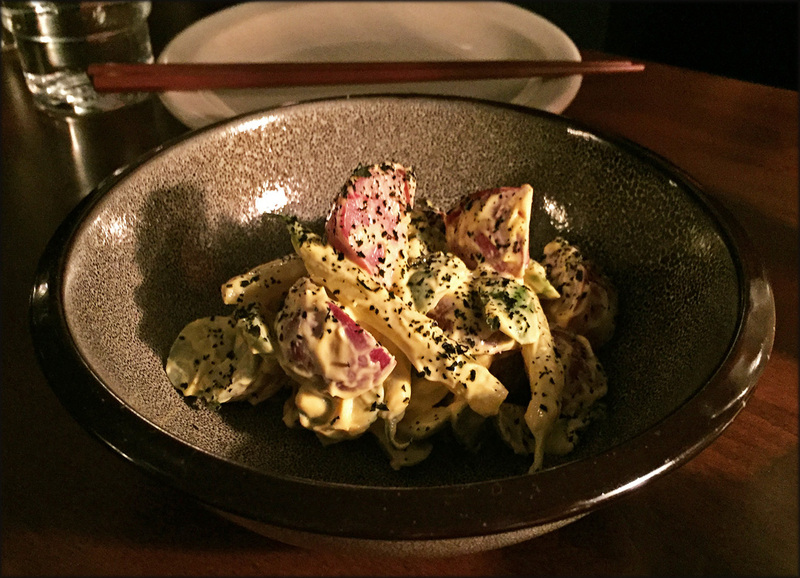 Tossed in smoked cream and accentuated with kombu cured olive, the al dente pasta housed a pork filling with a unique spice profile. It reminded me of sweet baking spices that one can taste in pho broth or the spice rubbed part of Chinese roast pork that you can get at Dollar Meats from across the street. It was unusual but a yummy dish. 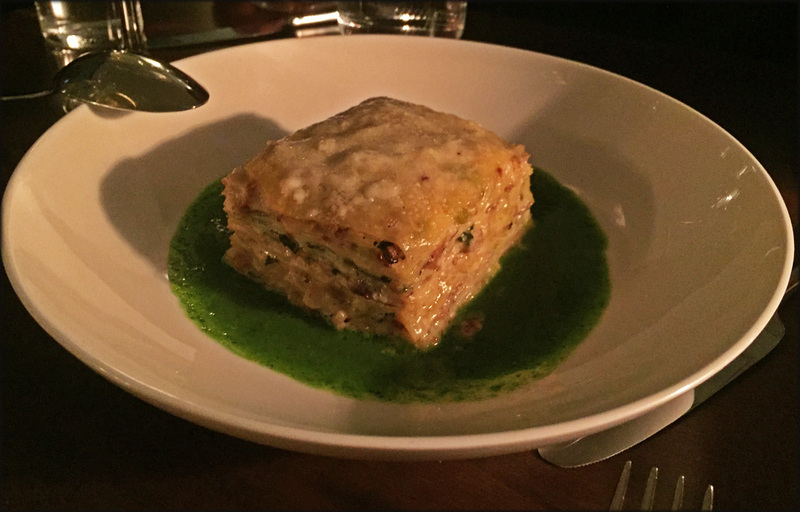 The richest thing we ate at Kissa Tanto was the Lasagna del Giorno. Don’t let the small square of food fool you – it packs a punch. We could taste pork, earthy mushrooms and a creamy béchamel sauce. It was rich and intense, and only a few bites are needed to become full. I think I may have gone into a coma after the lasagna, as I don’t recall too much about the two desserts that completed our tasting menu. The important thing is I actually got to eat dessert this time (kind of), unlike my visit to Royal Dinette. 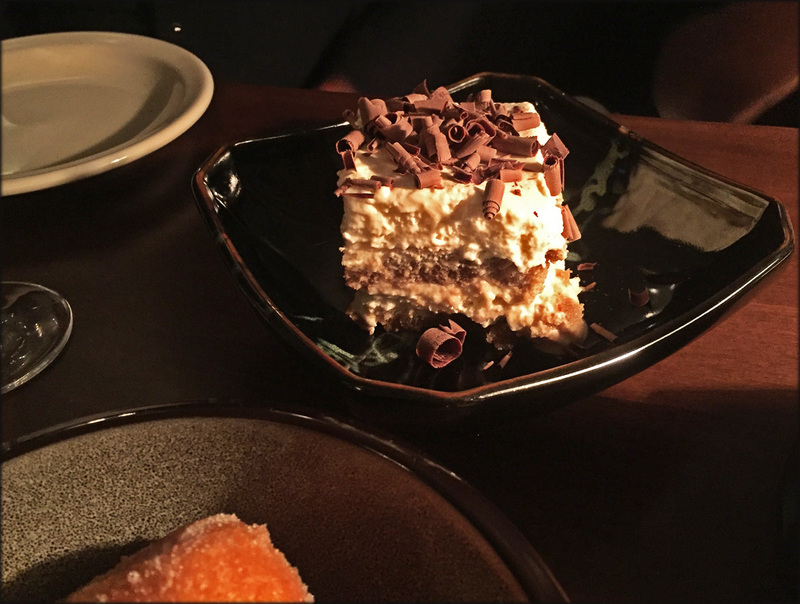 For the tiramisu, we all got a first bite, which tasted like the traditional Italian version. However, within 5 minutes the dessert was completely eaten by my boss’ daughter. I liked the only bite I had and the little one really liked it for what it’s worth. I know most people would not bring a child to a hotspot like Kissa Tanto, but my boss has brought his daughter to as many staff dinners as possible for the last 6 years. It’s given me a unique view on how staff deal with minors at various high end eateries. Despite the restaurant being packed and busy, our server took the time and genuinely engaged the little miss at our table, while us adults talked shop. I was very impressed. Even though there is a two hour time limit, we never felt rushed. Despite the allegro pace the staff seemed to be working at, all our requests were fulfilled and questions were answered with care. The group behind Bao Bei have another winner in Kissa Tanto. 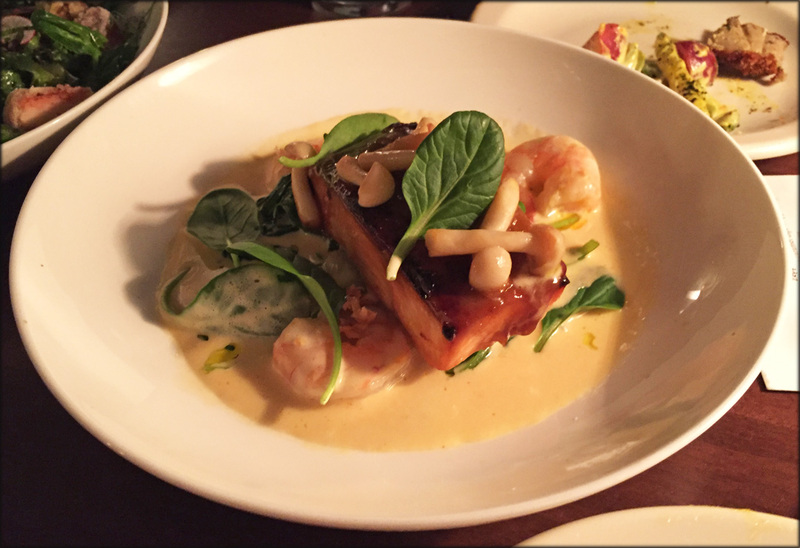 The food, the atmosphere and service are simply outstanding. This new Chinatown eatery is a must visit. I will see you again, Joan Collins. Thanks for the detailed report. I've been on the fence about KT for a few reasons. You're convincing me!